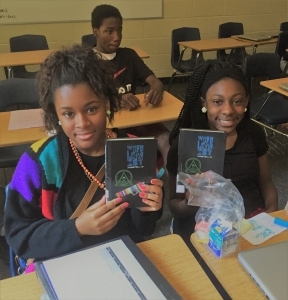 Books for Keeps – The Cedar Shoals Freshman Transition Camp needs books!! The Cedar Shoals Freshman Transition Camp needs books!! And not just any books. Our friend Katie Johnson, a teacher with the Cedar Shoals Freshman Transition Camp, has worked hard to put together this incredible list for her students! If you have any gently used copies of these books to donate, you can drop them off a Cedar Shoals High School or mail them, ATTN: Katie Johnson. The address is: 1300 Cedar Shoals Dr, Athens, GA 30605. 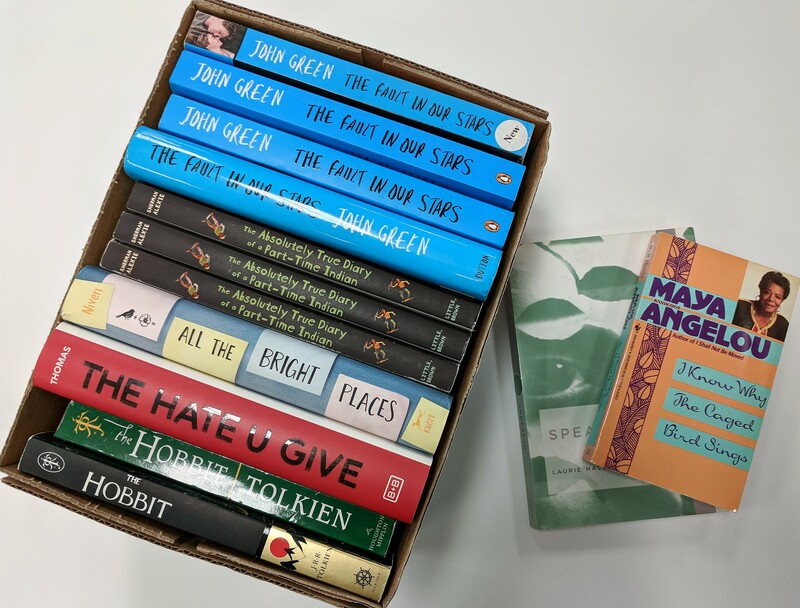 The Books for Keeps team is donating the books pictured here, and are excited to see every book on this list in the hands of Athens students! In summer 2016, Cedar Shoals hosted this summer program to help students transition into high school. Part of this program was handing out lexile-level-appropriate books to students entering 9th grade at feeder middle schools, Hilsman and Coile. Before camp began, students had to read their assigned book. Once at camp, students were organized into groups by what book they were assigned to read, and they then competed in classroom challenges for prizes. Students also blogged about their books. Over 150 rising ninth graders read below reading level before they enter 9th grade. Some students are reading on a 5th or 6th grade level, and they struggle to succeed in their first year of high school. The team at Cedar Shoals High School hopes to narrow these reading gaps through an engaging summer program. They hope to collect or otherwise purchase engaging graphic novels for students who are reading on a low level, such as the novel Yummy by G. Neri and Playground by 50 Cent. By encouraging competitions surrounding these books, the team helps students develop a love of reading and also see their culture reflected in these texts. In order to continue the program, CSHS needs our help gathering those books. If you have any gently used copies of these books to donate, you can drop them off a Cedar Shoals High School or mail them, ATTN: Katie Johnson. The address is: 1300 Cedar Shoals Dr, Athens, GA 30605. Thank you for your consideration and your care for students in our community! By booksforkeeps|March 14th, 2018|Uncategorized|Comments Off on The Cedar Shoals Freshman Transition Camp needs books! !